Beloved mother, grandmother, great-grandmother, aunt and cousin, Sybil Nadine King, 90, of Pinehurst, Idaho, passed away June 17, 2018 at the Schneidmiller House (Hospice House) of Coeur d’ Alene, Idaho. She was born June 20, 1927 in St. Maries, Idaho to Lloyd and Mary (Gilman) Dunkle, joining a brother Donald. Sybil and her family moved to Smelterville, Idaho when she was nine months old; her father Lloyd worked in the mines. Sybil attended the Silver King School completing grades first through the fourth. Her parents divorced when Sybil was nine years old; her mother Mary took a job cooking at a mining camp on a mountain in Montana, where initially there was no electricity and water was carried from a creek. Sybil and her brother Donald, had to board with different families to attend school; she attended the fifth, sixth and seventh grades in Hall, Montana. Sybil lived with her grandparents William and Jessie Gilman in St. Maries attending school in the eighth grade and her first year of high school. She then moved back to Kellogg living with her Uncle Maddison and Flora Barnett in Wardner, for her sophmore year of school. In her junior and senior years, she stayed with her Uncle Cecil and Aunt Delia Gray on Sunnyside, graduating from the Kellogg High School in 1945. Sybil was united in marriage to Leonard King of Bonners Ferry, Idaho, on September 17, 1947 in Kellogg. Sybil was a homemaker and was a member of the ODO Club and the Our Savior Lutheran Church of Pinehurst. 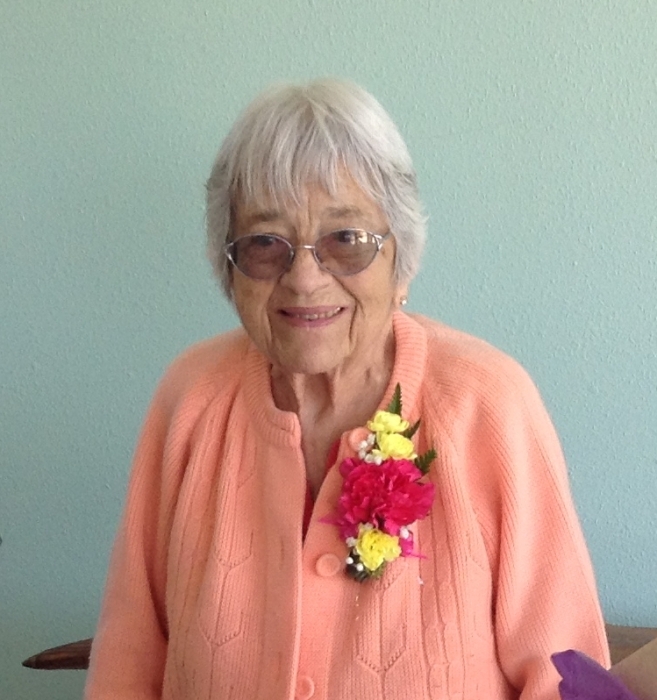 She loved and enjoyed dancing and the senior dances, crocheting and pinochle. Sybil is survived by three children Kevin King and long-time companion Reta Avdeef of Wilsonville, Oregon, Alan (Barbara) King of Keizer, Oregon, Lorie King and companion Chuck Carr of Spokane Valley, Washington; two grandchildren Jeffrey (Melissa) King and Heidi Salvador; four great-grandsons A.J. King, Kyle King, Jacob Salvador and Joshua Salvador; two nieces Mary Allen and Valerie Dunkle; one step-brother John Dunkle; one step-sister Carol Hurley and many cousins including special cousins (who helped Sybil with many things during her life) Jim and Laura Gray and Cecil and Alice Gray. Sybil was preceded in death by her father Lloyd Dunkle, her mother and step-father Mary and Robert Mork, her husband Leonard King, her brother Donald and nephew Stanley Dunkle. Memorial Services will be held on Saturday, July 14, 2018 at 11:00 A.M. at the Our Savior Lutheran Church of Pinehurst with Rev. Ken Bartle officiating. A reception/luncheon will be held in the basement of the church following services; everyone is welcome. Inurnment will be held at the Shoshone Memorial Gardens of Pinehurst. The family suggests that memorials may be made to Hospice of North Idaho, 2290 W. Prairie Ave., Coeur d’ Alene, Idaho 83815.